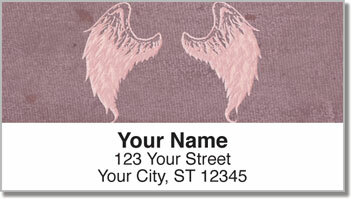 If these return address labels are any indication, angelic beings are just as unique as human beings. Each angel must have its own personality and style. 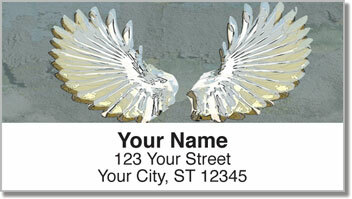 This design gives you a divine finishing touch for all your letters and packages. But the real blessing is how easy your new labels are to use. No more licking and sticking on envelopes, and more importantly no more scribbling out your return address by hand ever again! This product is printed on stock with a helpful self-adhesive backing. That truly makes them heaven-sent! 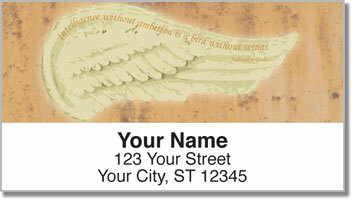 Order your very own Heavenly Wings Address Labels right now! 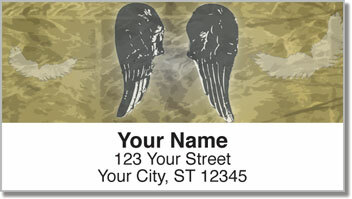 Don't forget, you can also find this selection as a set of matching personal checks.